Board Certification gives you comfort that if there are complications, say, injury to the big blood vessels in the area, your surgeon has been trained to deal with this type of vascular surgical repair. This is obviously in the very unlikely and rare event that it occurs during surgery. All our surgeons are American Board of Surgery certified and recertified; competence is assured. 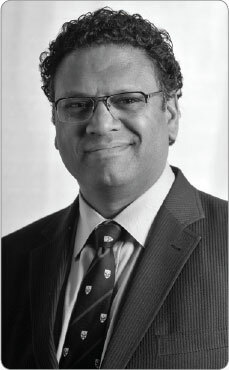 Dr. Ashwin Maharaj obtained his undergraduate degree in Biology/Physiology from the University of Western Ontario (BSc). He then completed his medical degree at the Royal College of Surgeons in Ireland (MB BCh). A residency followed this in General Surgery at Yale University in Connecticut, USA. He became certified through is a Diplomate of the American Board of Surgery and was certified as fellow of the American College of Surgeons (FACS) and recently recertified. He is a member of the Canadian Association of General Surgeons. After completing his training in Acute General Surgery encompassing Trauma/Surgical Oncology/Vascular Surgery, he went on to work as an acute care/minimal invasive surgeon at Ross Memorial Hospital in Lindsay, Ontario. He spent several years specializing in Hernia Surgery at Shouldice Hospital in Thornhill. While there he personally performed near 1300 cases with a very low complication rate and no known recurrences for his patients over that period. His current clinical interests are devoted to outpatient acute and chronic gastrointestinal medicine/surgery as well as abdominal wall hernia surgery and practices in certified facilities in Toronto. He has research experience in gastrointestinal disease as well as surgical education teaching resident surgeons and medical students. His current clinical interests include acute and chronic abdominal disease including bringing natural tissue hernia surgery to the outpatient setting. As well, he is expanding the use of various media to educate patients in diagnosing, and caring for their gastrointestinal medical and surgical disease. In addition he is expanding his facility in the nutritional sciences to enhance the lives of his patients.